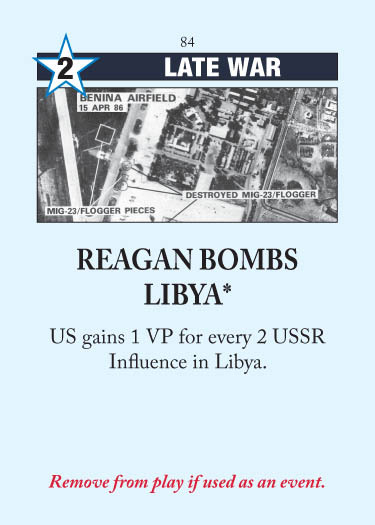 This entry was posted in Late War, US Events and tagged Reagan Bombs Libya. Bookmark the permalink. It should add +1 military operation for USA.